Commercial Storm Shelters - Safe Sheds, Inc. Discounts may available for purchases of multiple shelters. 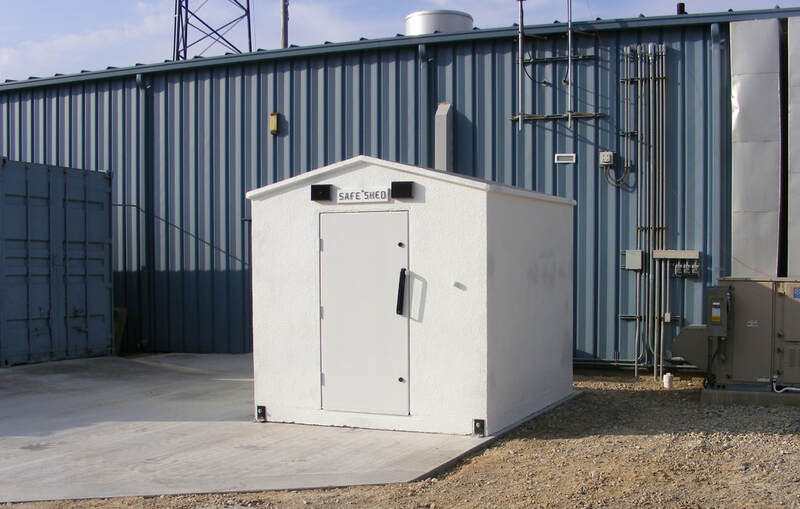 Hundreds of commercial customers have selected our 8' x 10' precast concrete storm shelter because it's affordable, quick to install, and can be placed in any location. Because this tornado shelter can be set within 2' of existing structures, it is ideal for installing near exit doors. 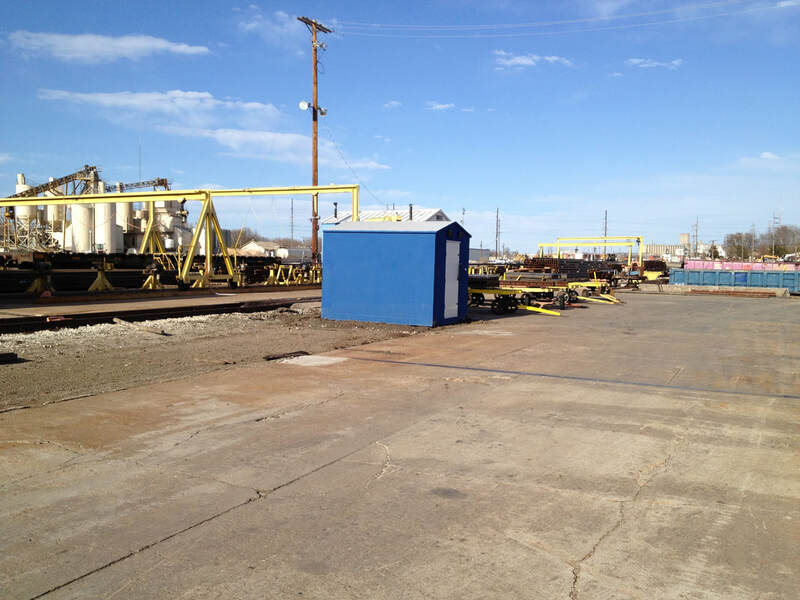 Its durable, low maintenance construction makes it perfect for placement in remote locations. 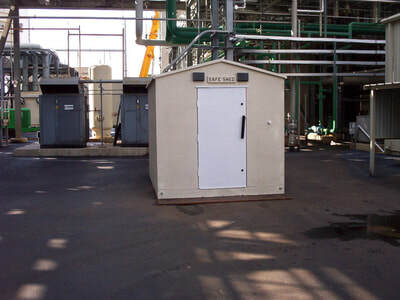 It meets FEMA 361 and ICC 500 specifications for safe rooms, and engineered drawings are available. Built-on-site storm shelters are expensive and disruptive to your daily operation. 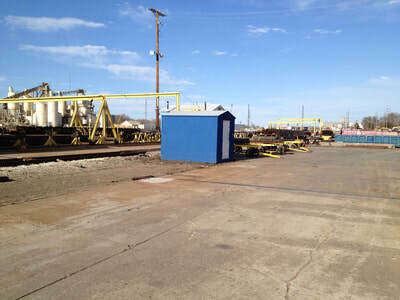 A Safe Sheds commercial shelter will hold up to 14 people (at FEMA-recommended 5 sq. ft./person) for less than $5,500. And our steel-reinforced concrete shelters are delivered by semi, set in place, and ready for use in as little as two hours. - Sealed engineered drawings available upon request. 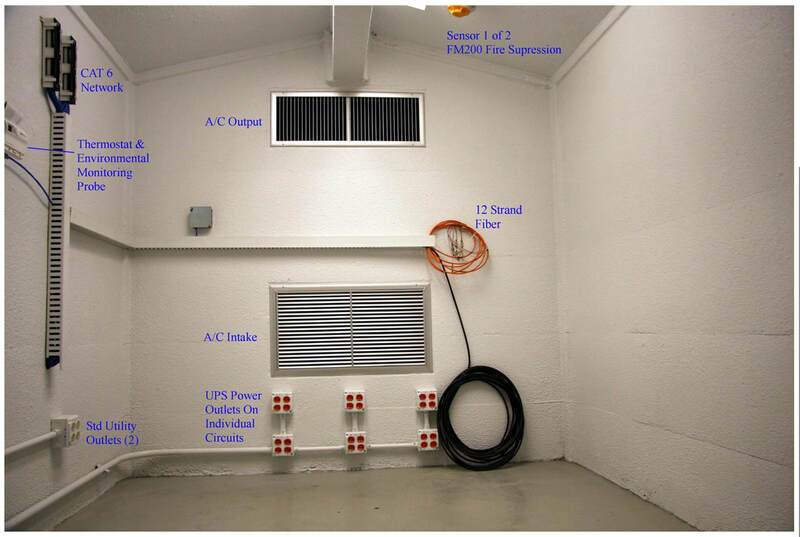 This Safe Shed was adapted by a company to become a network server room. 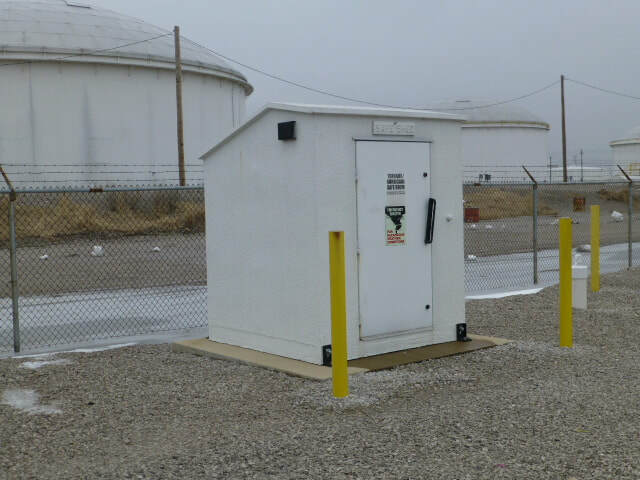 Detached from the main building for better fire suppression, tornado-proof, and easily locked for security, they found the Safe Shed to be an affordable and perfect way to secure their company's valuable equipment and information. Read the customer's information via this thread.